Within postcolonial studies, Britain’s long contact with India has been read generally only within the context of imperialism to inform our understanding of race, gender, identity, and power within colonialism. Such postcolonial interpretations that focus on single dimensions of identity risk disregarding the sense of displacement, discontinuities, and discomforts that compromised everyday life for the British in India—the Anglo-Indians—during the Raj. 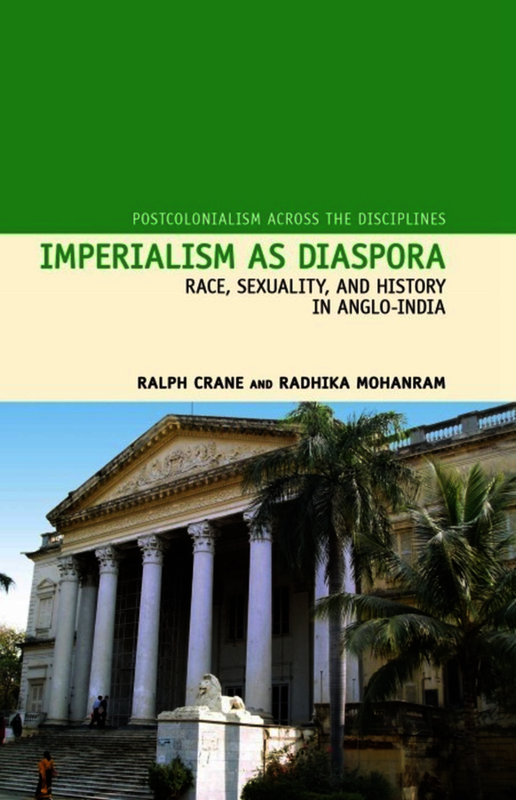 Imperialism as Diaspora reconsiders the urgencies, governing principles, and modes of being of the Anglo-Indians by approaching Britain’s imperial relationship with India from new, interdisciplinary directions. Moving freely between the disciplines of literature, history, and art this new work offers readers a more nuanced and comprehensive understanding of the lives of Anglo-Indians. Focussing on the years between the Indian Mutiny of 1857 and Independence in 1947—the period of the British Raj in India—Imperialism as Diaspora at once sets in motion the multidisciplinary fields of cultural and social history, art and iconography, and literary productions while carefully maintaining the tension between imperialism and diaspora in a ground-breaking reassessment of Anglo-India. Crane and Mohanram examine the seamless continuum between cultural history, the semiotics of art, and Anglo-Indian literary works. Specifically, they focus on the influence of the Sepoy Mutiny on Anglo-Indian identity; the trope of duty and the white man’s burden on the racialization of Anglo-India; the role of the missionary and the status of Christianity in India; and gender, love and contamination within mixed marriages. 1. Truly multidisciplinary in its emphasis on reading the cultural history visual representations alongside the fiction of Anglo-India. 2. Resurrects and reconsiders an almost forgotten body of literature that is neither read as English literature nor Indian literature. 3. Reconsiders the lives of Anglo-Indians which are generally only read within the framework of imperialism. 4. Intersects diaspora with imperialism to show the ambivalences, fissures, and cracks in representations of imperial identities and the development of colonial history. 5. Explores the reconstruction of gender and sexuality under Anglo-Indian imperial rule in India. Ralph Crane is Professor of English at the University of Tasmania, Australia. Radhika Mohanram is Professor of English and in the Centre for Critical and Cultural Theory at Cardiff University.